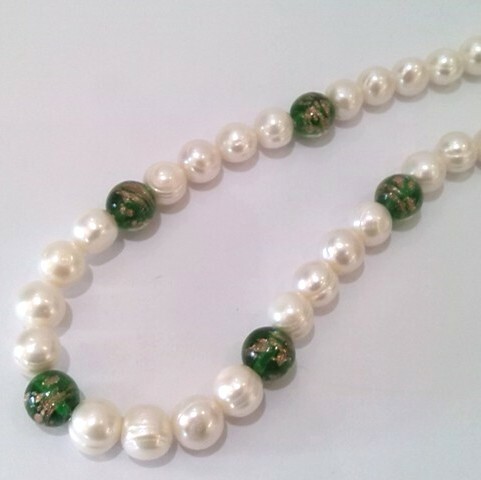 Ringed pearls with Gold-Sand glass beads in Green. Home / Pearl Necklaces / Pearl Necklaces £41 to £100 More surprises! 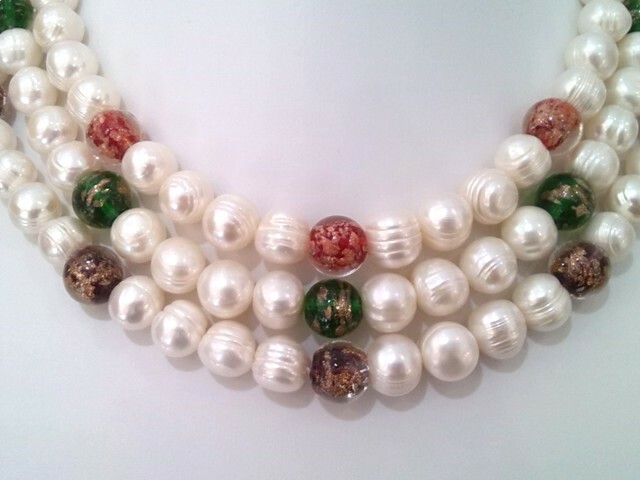 / Ringed pearls with 'Gold-Sand' glass beads in Green. 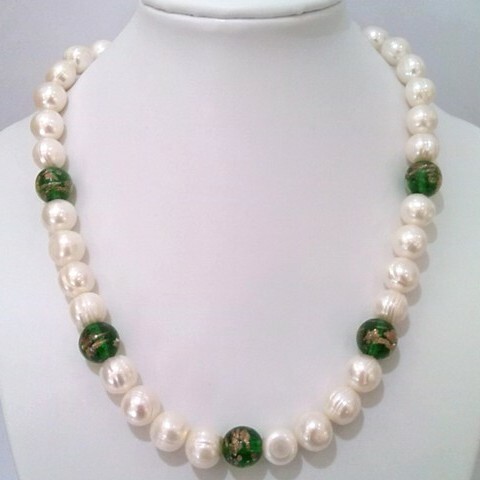 We've selected large, lustrous and well-shaped 10 - 11 mm examples for this lovely necklace, which features interesting beads of Venetian-style 'gold-sand' glass in green.